Oslo is still planning to go car-free by 2019, thanks to an ambitious network of bike lanes. But old habits do die hard. Øyvind Aas didn’t look like one of Scandinavia’s top bike champions. But then again, neither does Oslo. Wrapped in thick scarf and trench coat, the lanky Aas greeted me at the Norwegian capital’s train station astride a huge cargo trike, not a sleek racing machine. A former professional mountain biker, now the chief communications officer at the Norwegian Cyclists’ Association, Aas and his wife purchased the rig through a city subsidy program, he explained. I rented a ride from a nearby bike-share station that might have been nearly as heavy as his. The plan for that grey and windy October day was to survey the recent growth of the city’s bike infrastructure. As it turned out, Aas had good reason to take it slow—Oslo is still adapting to the two-wheeled kind. But its current leaders intend on making the city one of the world’s great cycling destinations. They’ve got to. Since the mid-2000s, Oslo has grown faster than nearly any other city in Europe, thanks to a rising birth rate, longer life expectancies, and record immigration—Norway has dodged Europe’s larger financial crisis. Cruising near the Oslo harbor, Aas pointed out the telltale signs of this boom: waterfront apartment towers and commercial developments that now loom where industry once stood. “The trams are totally at capacity,” Aas shouted from up ahead, and traffic congestion is worsening year over year. To accommodate the growth, and slash greenhouse gas emissions, the city is shifting ground to make space for bikes. Specifically, it hopes to double the bike’s mode share to at least 16 percent of all trips by 2025. But there’s a closer goalpost to hit first. In 2015, Oslo made world headlines for being the first European city to declare plans for a comprehensive and permanent ban on cars in its core by 2019. To accomplish that feat, the city plans to replace hundreds of parking spaces by that year, with 60 kilometers of new and improved bike lanes and pocket parks. Entry and parking in and around Oslo’s core have also become much pricier during peak hours, and it seems to be working: commuter traffic has decreased dramatically, and the city’s greenhouse gas emissions are dropping. The changes are designed to result in a truly car-free, people-oriented center city, with bike and walking paths radiating out from a completely pedestrianized core of 1.3 square kilometers. It’s already practically built for it, with narrow cobblestone streets and cheek-by-jowl shops and restaurants. Work on the car-free center began in earnest in summer 2017, with city officials removing parking spaces and planting flower boxes in their place. They’ve also begun to “roll out the red carpet,” Aas joked, as we rolled through some of Oslo’s new signature crimson bike lanes. Many (though not all) of these new lanes abide by the “Oslo Standard,” a framework established in 2016 for engineering bike infrastructure so that it meets the city’s goals and citizens’ safety needs. Norway’s national engineering standards for road safety and lane design date back to the mid-20th century, and they aren’t good enough to achieve the high mode share that Oslo desires, Henrik Andersen, the deputy mayor of Oslo, told to me later. The key difference is in width: The national standard puts a bike lane no wider than 1.8 meters, which can feel frighteningly narrow on streets packed with car traffic. Oslo’s new norms allow lanes to be up to 2.5 meters wide. They’re also to be marked by proper signage, painted with a bright contrasting color, and whenever possible, fully separated from traffic. That’s a considerable divergence from the national standard, which was designed mostly with highways, not cities, in mind. It might seem odd that Oslo lacks the cycling culture of some of its more celebrated Nordic neighbors. Before World War II, bikes had a healthy presence on the city’s streets, and postwar trade limits helped suppress the automobile’s reach in Norway at large. But those restrictions were lifted in the 1960s, around the same time that oil was discovered off Norwegian shores. The country has since grown to be one of the richest in the world, with some of the highest rates of car ownership in the EU. With the automobile ascendant, the bike was largely forgotten. Oslo’s leaders had envisioned citywide cycle networks as far back as the 1950s, but they never came to fruition. Even after the city set up a special bike office in 2010, little came of it: From 2005 to 2015, just 1.5 kilometers of bike lanes were built per year. Now, Oslo aims to multiply that rate by ten, largely by taking cars out of the picture in the parts of town where cycling could blossom most easily. 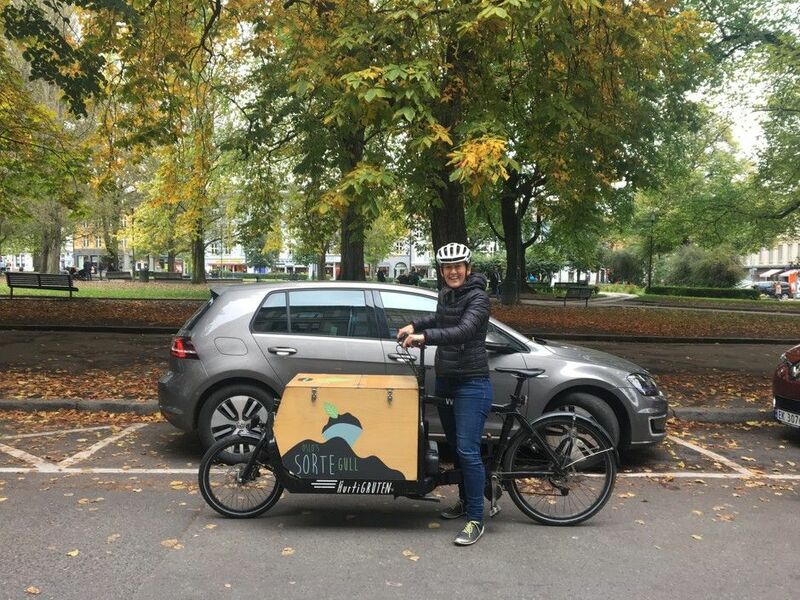 “The most important thing is to ensure good and safe cycling infrastructure,” Lan Marie Nguyen Berg, Oslo’s vice mayor for environment and transport, told the local newspaper Aftenposten last year. The world has taken note. When it comes to bike planning, “no city in the world is as exciting as Oslo right now,” Mikael Colville-Andersen, the founder of the urban consultancy Copenhagenize, has said. But on the local level, old habits die hard. Drivers do still rule the road in Oslo, and they’re not nearly as attentive to cyclists as in more established European biking cities like Copenhagen or Amsterdam. That may because there’s not a critical mass of cyclists to establish better norms yet, Aas said. And Oslo’s bike schemes aren’t without their critics and resisters. The backlash against the city’s car-free plans (and to ban diesel vehicles) has been predictably fierce. Some merchants feared that a downtown with less parking would be a “dead zone,” devoid of business, and drivers have protested parking fees and tickets en masse. Officials have also been criticized for the much-publicized bicycle subsidy programs, one of which Aas himself took advantage of—in 2016 and 2017, Oslo dished out €500 and €1,000 rebates to citizens purchasing e-bikes and cargo bikes, in a bid to discourage families from buying new cars. But some critics charged that the subsidies were geared to wealthy families who could already afford the bikes if they wanted them. Besides, not as many Oslonians have coughed up for cargo bikes, even at a discount, as the city hoped. That vision hasn’t quite been realized yet, though. Many of the city’s 180 kilometers of bike lanes are not well maintained; Norway’s long winters mean lots of potholes and frequent snow-removal challenges (the city is taking strides to plow them better). As a result, cyclists often ride on the sidewalk when they feel like it, and pretty much wherever else. This can lead to some confusion, Aas explains as we cruise Oslo’s city center. For example, bikes are allowed in two directions down one-way streets, but who gets priority in the intersections isn’t always clear. That was what a 2013 survey revealed, too, about why more Oslonians aren’t riding. Viking-hearted commuters might feel secure cycling in traffic under fierce conditions, but studies have found that women and older cyclists need designated space, calm traffic, and a certain volume of fellow cyclists in order to feel safe on a bike. In Oslo, the relative risk of getting hurt on a bicycle is declining, officials note, as the absolute number of cyclists has grown with the city’s population. But the optics aren’t inviting, since the count of serious injuries is still rising, and protected lanes are still scant. But it’s still very early days. As many other cities have shown, physically making space for bikes is the way to build up cycling’s numbers. There are few cities as ambitious as Olso on that front. And its commitment is beginning to pay off. After Aas helped me dock my bikeshare bike at the end of our trip, he gave me a lift back to the train station in the carrier seat of his cargo bike. “Bikes bring people together, don’t they?” Aas said as I stumbled out. So does a city that wants them—or at least that’s what Oslo’s banking on.